Every entrepreneur must understand the importance of adding social proof to their website. It not only enhances trust among the consumers but also helps in increasing the conversion rate of the website. All big brands like Amazon, Mailchimp, Flipkart have prominent social proof on their website. Social Proof is a psychological phenomenon where people conform to the action of others under the assumption that those actions are reflective of the correct behavior. 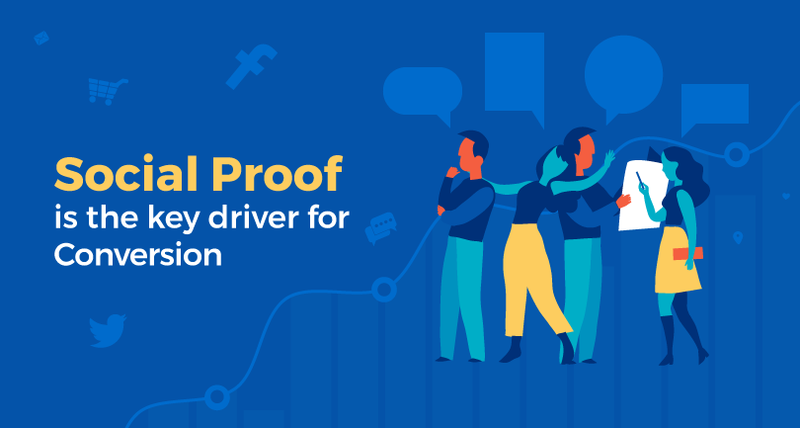 Offering social proof is a tactic for increasing conversion by easing the mind of the worried or distrusting customers. People want proof from peers or unbiased 3rd party sellers rather than a brand selling their product. According to the consumerist, 70% of online consumers look at a product review prior to making a purchase. All you have to do is find a way to influence your consumers to buy the product from your website rather than your competitor. The main goal of a social proof is to create a positive perception of your company. The below-mentioned tactics will help improve the conversion by social proof regardless of the size of company or product you are trying to sell. Usually, when a business hears the term celebrity they determine it as a costly affair, but it does not have to be like that if you strategically plan it. Unless you have personal relations with the celebrities, it is next to impossible to get superstars to endorse your brand. Celebrities like Tom cruise, Blake Lively, Miley Cyrus, etc. charge huge amount of money to even mention a brand name on their social media profile. Wondering what you can do instead, find influencers of your niche market. Influencers are those people who are not real celebrities but have a large audience on their social media profiles. Find local celebrities or regular people with a lot of followers on Social media. Anyone who has around 10k, 20k or maybe even 50k followers can become an influencer for your brand. Sometimes influencer can have a much better impact as compared to celebrities as they are more engaged with their followers. 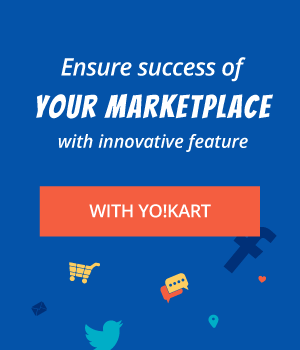 Prove people that people love your product/service and are buying from you. Let the number do the talking about your brand. Show Off on your website how many people have bought products/services from you and post the information in real time. What is a much better proof than showing an actual number of clients/customers served? Be sure the numbers that you are displaying are worth bragging. For example, if you have only 1000 followers on Twitter, so it’s better you do not mention it on your website. It is important to analyze which numbers will speak highly regarding your brand. It is very important that your brand displays visual content on their website which shows the advantage/effect on the website. One thing is to brag about your product on your website or social media. The other way which is sure to get you success is by displaying the products effects. This technique ensures the potential customers knows about about the effects of the product/service. Choose the social proof you want to display with your brand according to the niche you are serving. The best way to show the effect of your product is by showing before and after images. It specifically works in some industries like health, fitness, and wellness. First of all, make sure your company has a profile or presence on these websites depending on your niche market. But along with that do not forget to add a review on your website itself. Lure the customers to write a review for you by offering them incentives for a review. Just give them incentive when they write anything for your brand, do not make it specific to Good or Bad. It is an extra motivation for your customer which generates an extra social proof for your business and solves the problem of customers before it is too late. Customers review help in increasing conversion, but the real question is, How reliable is customer review? Compare the review of a customer to a testimonial by an expert in the same niche. Which one will gain more trust? Though both of them are important, make sure you get a testimonial from an expert in your industry regarding your business. Also, remember to showcase it in the appropriate position on the website. The set format to display the testimonial from the expert is to display their full name, picture, company, and designation. Everyone in the industry feels that a brand should not brag about themselves and let the success talk for itself. But I think it’s okay if they do it to a certain limit. It is certainly not okay to brag about the revenue you generate, share something which boosts your credibility. Tell your customers how you have achieved different milestones. We have already understood that customers trust other customers easily. Customer referral can help in generating social proof and attract customers to your ecommerce store. Customer will refer your brand to family or friends only when they have a good experience. A referral customer increases the chances of conversion as customer-to-customer recommendations. Give your current customers an encouragement to share your brand with their friends and family. Now after reading all these tactics, you must have understood that social proof helps in increasing conversion. This is a low-cost strategy as it does not include too much investment just some promotional giveaways. Display number, endorse celebrities, brag yourself encourage customers to review your product, use customer provided images. All these tactics will help you create a social proof for your business which will result in an increase of conversion.